Inconvenient Truth #1: DHA and fish oil shown completely worthless in treatment for Alzheimer’s. “The hypothesis [guess] that DHA slows the progression of mild to moderate Alzheimer disease was not supported, so there is no basis for recommending DHA supplementation for patients with Alzheimer disease. Inconvenient Truth #2: Fish oil increases risk of colon cancer. 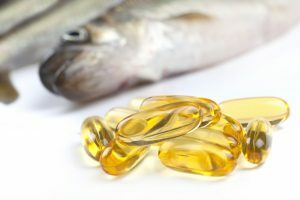 “Link Between Fish Oil And Increased Risk Of Colon Cancer In Mice,” J. Fenton, et al., Medical News Today (Colorectal Cancer), Article URL: www.medicalnewstoday.com/articles/203683. php#post, October 7, 2010; and Woodworth, Hillary, L., et al., “Dietary Fish Oil Alters T Lymphocyte Cell Populations and Exacerbates Disease in a Mouse Model of Inflammatory Colitis,” Cancer Research; 70(20); 7960–9; 0008-5472.CAN-10-1396; Published Online First August 26, 2010; doi:10.1158/0008-5472. CAN-10-1396. “‘We found that mice developed deadly, late-stage colon cancer when given high doses of fish oil ,’ [Fenton] said. “More importantly, with the increased inflammation, it only took four weeks for the tumors to develop. “…not only the mice receiving the highest doses of DHA but those receiving lower doses as well. “’Our findings support a growing body of literature implicating harmful effects of high doses of fish oil consumption in relation to certain diseases,’ Fenton said. Inconvenient Truth #3: Fish oil decreases proper immune system responses. “The increase is considered to be real and not due to chance. “The total number of procedures for skin cancer in the Medicare fee-for-service population increased by 76.9% from 1,158,298 in 1992 to 2,048517 in 2006. “Nonmelanoma skin cancer (NMSC) is the most common malignancy in the United States. ”Malignant melanoma is one of the fastest growing cancers worldwide. “Overall melanoma incidence increased at 3.1% (1992- 2004) per year. Inconvenient Truth #7: Fish oil is WORTHLESS in preventing heart disease in Type I diabetic women. Health study presented at the 70th Scientific Sessions of the American Diabetes Association. “Omega-3 fatty acids [omega-3 derivatives], primarily found in fish, [supposedly] promote heart health by preventing the buildup of cholesterol in the arteries. Little is known about the effect of consuming omega-3 in people with type 1 diabetes, who are at much greater risk for heart disease. “The glycemic [blood sugar] control of [all of] the four insulin dependent diabetic patients worsened during the fish oil administration. “…[T]he insulin dose of the subjects had to be increased throughout the six-month period of fish oil administration to maintain constant blood glucose and glycosylated hemoglobin concentrations (HbA1c— average blood sugar level). “Fish-oil supplementation reduces stimulation of plasma glucose fluxes during exercise in untrained males,” British Medical Journal of Nutrition (2003), 90, 777–786. “[I]t was observed in healthy human subjects that a 3-week supplementation of the diet with fish oil (6g/ day) decreased by 40% the insulin response [a horrific effect] to an oral glucose challenge without altering either endogenous glucose production or plasma utilisation. Inconvenient Truth #11: Consumption of “fatty fish” decreases insulin levels. Karlström, BE, et al., “Fatty fish in the diet of patients with type 2 diabetes: comparison of the metabolic effects of foods rich in n-3 and n-6 fatty acids,” Am J Clin Nutr 2011;94:26–33. Anthony P. Bimbo, “Raw material sources for the long-chain omega-3 market: Trends and sustainability. Part 2,” April 2009, www.aocs.org/Membership/FreeCover.cfn? Item number=1085, accessed 10.8.11. Inconvenient Truth #12: Amount of supplemented DHA incorporated into the brain is insignificant. and are not elongated to ARA or DHA [rather, staying in parent form]. “Docosahexaenoic acid (DHA; 22:6n-3) is a critical constituent of the brain, but its metabolism has not been measured in the human brain in vivo [in the body]. In monkeys, using positron emission tomography (PET), we first showed that intravenously injected [1-11C] DHA mostly entered nonbrain organs, with approximately 0.5% entering the brain. “Then, using PET and intravenous [1-11C] DHA in 14 healthy adult humans, we quantitatively imaged regional rates of incorporation (K*) of DHA. “For the entire human brain, the net DHA incorporation rate Jin, the product of K*, and the unesterified plasma DHA concentration equaled 3.8 ± 1.7 mg/day. “A recent article in the 2003 PUFA [Polyunsaturated Fatty Acid] Newsletter indicated that in adult men and women the ‘average estimated conversion of … [EPA/ DHA]… is likely to be an overestimate of the actual overall conversion rates for several reasons.’ We see even with this excessive estimate of the parent omega-3 derivative conversion that theoretically no more than 37% of them are converted to derivatives. “However, The article makes the case that, ‘these amounts correspond to a conversion rate of one gram alpha-linolenic acid in the order of < 0.02% for total n-3 LC-PUFAs or 002% for conversion to DHA’…. [based on blood lipid conversion]. “Overall conversion rates of LA and ALA, calculated from peak. “[13C] LCP concentrations adjusted for dietary influences on pool sizes of LA and ALA, were low and of similar magnitude overall for AA and EPA (18% and 0.26%)…. “Few studies have attempted more than relatively crude estimates of isotope transfer from tracer into the various tracee pools, and it is recognized that AUC [area under the curve] values will overestimate true conversion rates and provide only approximate relative rates of transfer.”[Note: Not using radioactive isotopes that directly appear in specific tissue so you can measure them is why so many health professionals have been misled; thinking the PEO-to-derivative conversion rates are much higher than they actually are. 1 Hussein, Nahed, et al., Journal of Lipid Research, Volume 46, 2005, pages 269–280. Inconvenient Truth #14: The body only uses extremely small amounts of ALA to make DHA. Pawlosky, RJ, et al., “Physiological compartmental analysis of alpha-linolenic acid metabolism in adult humans,” Lipids Res 2001 42: 1257–65. Research at the United States Department of Agriculture’s USDA food composition laboratory concludes that: “Only about 0.2% of the plasma 18:3n-3 [ALA] was destined for synthesis of 20:5n-3 [EPA], approximately 63% of the plasma 20:5n-3 was accessible for production of 22:5n-3, and 37% of 22:5n-3 [0.23% of the 0.2% = 0.046% net ALA] was available for synthesis of 22:6n-3 [DHA].” Unlike what you are told by sellers of fish oil supplements, this is confirmation of the extremely small amounts your body uses to make DHA. Inconvenient Truth #16: Babies DO produce the omega-6 derivative, arachidonic acid (AA), and the omega-3 derivative, DHA. Carnielli, V.P., et al., “The very low birth weight premature infant is capable of synthesizing arachidonic and docosahexaenoic acids from linoleic and linolenic acids,” Pediatric Research, Vol. 40, No. 1, 1996, pages 169–174. “…[T]his clearly shows that all infants were capable of actively synthesizing the long chain polyunsaturated FA from their dietary precursors. “We report a newly developed approach which enabled us to measure in vivo [in the body] the biosynthesis of LCP with stable isotopes. The study shows that small preterm infants are capable of converting both LA and LNA into LCP [long chain polyunsaturated fatty acid]. We were also able to measure the l3C enrichment of all major metabolites of the essential FA including C18:3n-6, which is the delta-6 desaturase product of LA and thought [guessed] to be the limiting step in EFA metabolism. “The major finding of this study is that the healthy preterm infant at approximately 1 month of age can desaturate and elongate LA and LNA into n-6 and n-3 LCP, respectively. “This observation suggests that the D6 desaturation may not be a rate-limiting step in our patients. Inconvenient Truth #17: Fish oil increases platelet aggregation. Knapp, H, et al., “In vivo indexes of platelet and vascular function during fish-oil administration in patients with atherosclerosis,” The New England Journal of Medicine, Vol. 314, April 10, 1986, No. 15, pages 937–942: In patients with atherosclerosis, prostacyclin biosynthesis fell by a mean [average] of 42% during the fish-oil period. Inconvenient Truth #18: Fish were found to be worthless in decreasing abnormal heart rhythm (called atrial fibrillation, or AF). Inconvenient Truth #19: Fish oil supplements increased sudden cardiac death in those with coronary heart disease. Burr, et al., ”Lack of benefit of dietary advice to men with angina: results of a controlled trial,” Eur J Clin Nutr 2003, 57:193–200. Inconvenient Truth #20: Fish oil does not slow atherosclerosis. Angerer, P., et al., “Effect of dietary supplementation with omega-3 fatty acids on progression of atherosclerosis [plaque buildup in interior of arteries] in carotid [heart to brain] arteries,” Cardiovascular Research; 54:183–190, 2002. Both fish oil groups and the control groups showed close to equal atherosclerotic progression (getting more clogged). Fish oil did not stop thickening of the artery. On the contrary, the artery wall got thicker (bad) with fish oil ingestion! Inconvenient Truth #21: “Fatty fish does NOT prevent stroke; “lean fish” does prevent stroke. Larsson, Susanna C, et al., “Fish consumption and risk of stroke in Swedish women,” Am J Clin Nutr 2011;93:487–93. “To our knowledge, this is the largest study (with respect to the number of stroke cases) to date to examine this association. “A high consumption of lean fish was associated with a significant reduced risk of total stroke and cerebral infarction. “The consumption of salmon, whitefish, and char and herring and mackerel [fatty /oil fish] was not associated with [reduced] risk of total stroke or any stroke subtype. Pot, GK, et al., “No effect of fish oil supplementation on serum inflammatory markers and their interrelationships: a randomized controlled trial in healthy, middle-aged individuals,” European Journal of Clinical Nutrition, 2009 (62), 1353–1159. “In conclusion, this 12-week randomized, double-blind placebo-controlled intervention trial did not show that 1.5 g/day n-3 PUFA [fish oil] significantly affected the serum inflammatory response in healthy individuals, nor did patterns of inflammatory markers. Thus, a healthy middle-aged population may not benefit from fish oil as an anti-inflammatory agent . “Overall, it seemed that all serum inflammatory markers were increased rather than decreased after fish oil supplementation than with placebo; however, these increases were not statistically significant. Inconvenient Truth #24: Fish or its EPA/DHA does NOT help depression. Lucas, Michel, et al., “Dietary intake of n-3 and n-6 fatty acids and the risk of clinical depression in women: a 10-y prospective follow-up study,” Am J Clin Nutr 2011;93:1337–43. “In conclusion, the results of this large longitudinal study do not support a protective effect of long-chain n-3 fatty acids [EPA/DHA] or fish intake on the risk of depression. “The use of 4 dietary assessments over a period of 10 y[ears] was a unique strength of our study. “In this large prospective cohort of women, we found that higher dietary intake of vegetable n-3, ALA [parent omega-3], was significantly associated with a lower risk of clinical depression, especially among those who had the lowest intake of LA [which is often highly adulterated]. Inconvenient Truth #26: Fish oil adversely affects chemotherapy. Roodhart, Jeanine M.L., et al., “Mesenchymal Stem Cells Induce “Resistance to Chemotherapy through the Release of Platinum-Induced Fatty Acids,” Cancer Cell, 2011; 20 (3): 370 DOI: 10.1016/j.ccr.2011.08.010; www.medicalnewstoday.com/articles/234263.php. the University Medical Centre Utrecht, the Netherlands wrote in the journal Cancer Cell. “Cancer patients commonly take fish oil supplements in addition to their standard treatment.